Best News Ever: More Coaches For Metro Trains During Peak Hours! No more battling a crowd of commuters at the train doors or waiting for the next train to get a spot to stand in the coach. Why? Because the Purple line now has 6 coaches per train plying, to ease the peak hour rush. The new train travelling between Byappanahalli and Mysuru Road apart from the additional coaches, also includes a coach just for women. While the ladies coupe is a great addition, we’re also really happy to be able get get more breathing space, even if not seating space! 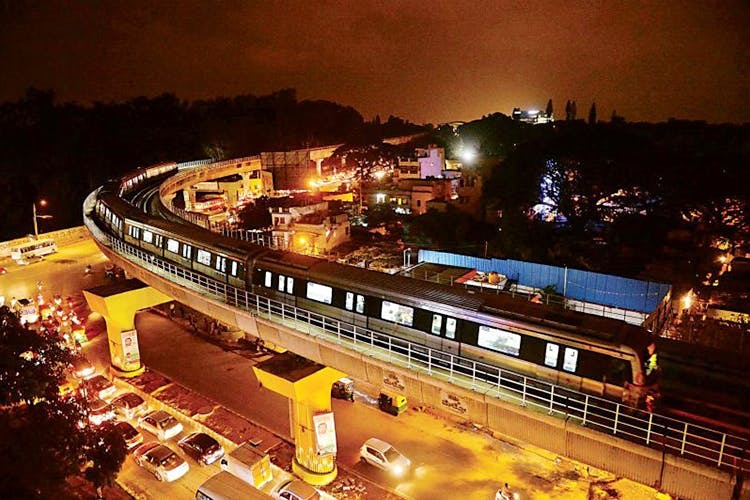 The train was inaugurated as part of the one-year celebration, since the completion of Phase 1. We hear that there are plans of extending this to the Green Line, and introducing short loop service trains from the more crowded stops. So, maybe start taking the Metro as much as possible? Read the full report from Deccan Chronicle here and watch this space for more!